With the motto “What a Place to Live” and the nickname “The Heart of the Treasure Valley,” Nampa should already ignite your curiosity. The city is located 20 miles from Boise, six miles from Meridian, and is the Boise-Nampa metropolitan area’s second main city. In 1886, Nampa was founded when the Oregon Short Line Railroad’s line passed through there. Incorporated shortly thereafter in 1891, it is Canyon County’s largest city with 31.77 square miles. The name “Nampa” is thought to have come from the Shoshoni word for footprint or moccasin. The 2010 census reported 81,557 residents, making it the second-most populous city in Idaho, and the estimate for 2016 was 91,382. Zillow’s data through January 31, 2018, gave Nampa a market temperature of “Very Hot.” The average home value was $166,000, having increased 9.9 percent over the last year and predicting it will increase 3.0 percent in the coming year. The average rent price is $1,050, lower than the Boise City Metro average of $1,300. The Nampa school district has 15 elementary schools, four middle schools, and four high schools. One is an alternative high school serving students who struggle in traditional schools. Nampa also has the College of Western Idaho and the Northwest Nazarene University. Fun Fact: Lakeview School was the first elementary school, constructed in the 1890s, was condemned as a school after its centennial celebration, was sold to the First Mennonite Church, then refurbished in 2008, and is now the home of the Idaho Arts Charter School. Lakeview, like Nampa, has gone through some major changes over the years! According to the U.S. Bureau of Labor Statistics, Nampa was named “#1 in the Nation for Employment Growth” for 2016 and that growth hasn’t slowed much.The two largest employers in Nampa are the Nampa School District and the College of Western Idaho. However, that doesn’t mean that Nampa doesn’t have other opportunities as well. There are plenty of industries that call Nampa home, from agriculture to manufacturing to health care. It is also located just 20 miles from Boise whose economy and employment outlook is thriving. Nampa is a great place to raise a family. The city has 24 parks, the largest being Lakeview Park. The Nampa Recreation Center has 140,000 square feet and contains an aquatics center with three gymnasiums, six pools, racquetball courts, a running/walking track, and other activity areas. The city owns and operates the 27-hole Ridgecrest Golf Club and the 18-hole Centennial Golf Course. The Ford Idaho Center has an amphitheater featuring 10,500 seat, a stage, an arena with 12,279 seats, the Idaho Horse Park, and a track and field Sports Center. The Idaho Center also has been hosting an annual Monster Jam event and the Snake River Stampede Rodeo which began in 1937 and continues as one of the top 12 rodeos in the pro rodeo circuits. Because the area is growing so quickly, developers are bringing more and more shopping, dining, and other entertainment options to the city. Apart from the family activities and growing urban areas, Nampa is still right in the heart of Idaho. Hunting, fishing, camping, bike trails, and more are all within easy driving distance. Take the family out for a day trip to historic Idaho City, a former mining town that is just an hour or so away. Or maybe you’d like to try camping at Silver Creek, also just about an hour away. On February 25, 1909, President Theodore Roosevelt established what is one of the oldest National Wildlife Refuge Systems. It provides watery oases, a breeding habitat, and a wintering and resting area for resident wildlife and migrating birds, including spectacular numbers of Canada geese and mallards. The American Bird Conservancy declared the Refuge to be a Globally Important Bird Area. The Refuge also protects the forests and grasslands on the Snake River islands as well as the wetland edges, open waters, and sagebrush uplands of Lake Lowell. It also cooperates with local farms to work 240 acres to provide food for wildlife and also manages and conserves fish and plant resources. 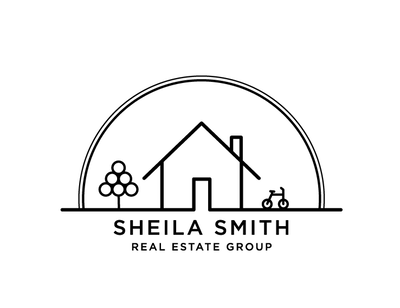 Sheila Smith Real Estate would be happy to give you more details about the Nampa area, answer any of your questions, and make arrangements to show you properties that are sure to interest you and your family. We generally always have inventory in the area or can show you other listings you may be interested in. Please contact us here for more info.